RESIGNED: Outgoing chamber of commerce chief Bernadette Uzelac. The chief of Geelong Chamber of Commerce has resigned, eyeing “new challenges and opportunities” after acquiring seats on numerous boards during her tenure. Bernadette Uzelac said she would look to expand on her career as a non-executive director “in particular”. 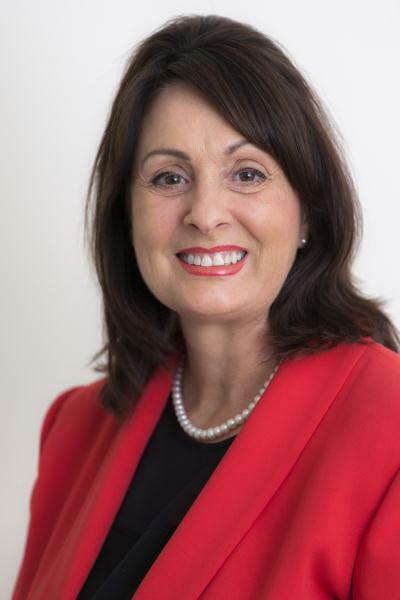 During her eight years with the chamber Ms Uzelac, who formerly worked in recruitment, was appointed chair of both Geelong Tech School Committee and a state advisory body to the Small Business Minister. She was also appointed to the boards of five other governmental advisory bodies along with lobby group Committee for Geelong, which includes paid members from the private and public sectors. The chamber of commerce was now “well-positioned” and the time was right for her to “explore” a career change, Ms Uzelac said this week in a statement announcing her resignation. Mr Edmonds credited Ms Uzelac with creating “the leading and largest regional chamber of commerce in Victoria, and possibly Australia”. “The hard work undertaken by Bernadette to improve the chamber’s financial position, to seek alternative revenue streams and improve the offer to members has been fantastic,” he said. “The many members that Bernadette has introduced into the chamber, including our many corporate partners, has ensured that the chamber has continued to grow and our members prosper. Along with her board appointments, Mr Edmonds noted Ms Uzelac’s work attracting federal funding to establish advisory service Small Business Smart Business and on overseeing the acquisition and operation of Geelong Business Excellence Awards. Mr Edmonds wished Ms Uzelac “every success” after her “dedication and hard work” at the chamber. The board would immediately begin work on recruiting a new chief executive officer, he said.